You are never too young to start! A small group of EckO members enjoyed some TD 4/5 training yesterday evening (Wednesday) up on the hills above Gleann Salach. The weather and the views were just stunning making the very steep climb up to the training area worthwhile. 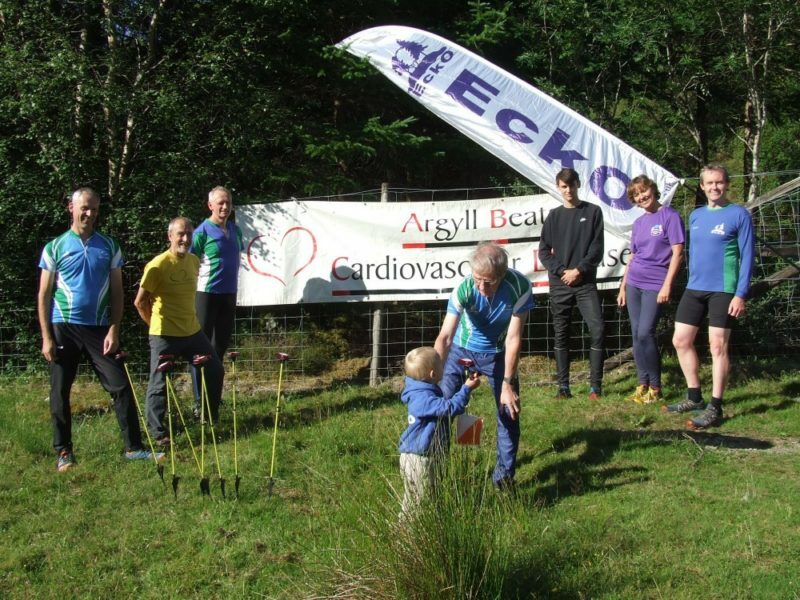 Before embarking on our training we all enjoyed the presentation from ABCD (Argyll Beats Cardiovascular Disease) of some new SI Units and light fibreglass stakes. Thank you very much ABCD. Training concentrated on contour feature recognition using contour only maps. We all agreed that this was a very worthwhile exercise that helped us visualise all the key contour features on individual legs. Many thanks to Ross for planning the training and arranging the wonderful weather and views.